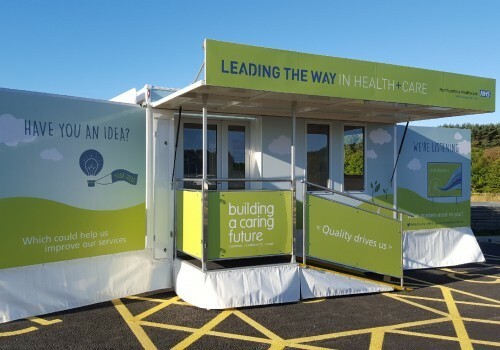 We have a number of designs of motorised exhibition vehicles available to hire, subject to availability. Our 3,500 kg rated self-drive vehicles enable you to effortlessly travel up and down the country whilst providing a professional space in which to meet potential customers or service users – just park and set up. For longer term hires, we are happy to reconfigure the layout to suit your specific needs. However, all our motorized display vehicles come with power sockets, LED lighting, and graphic display panels. We are able to deliver the display unit to you, or you can pick it up at a convenient time. 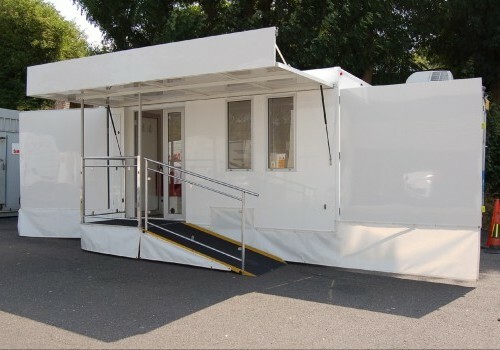 For more information on our hire leases or about our motorised exhibition vehicles, get in touch today.